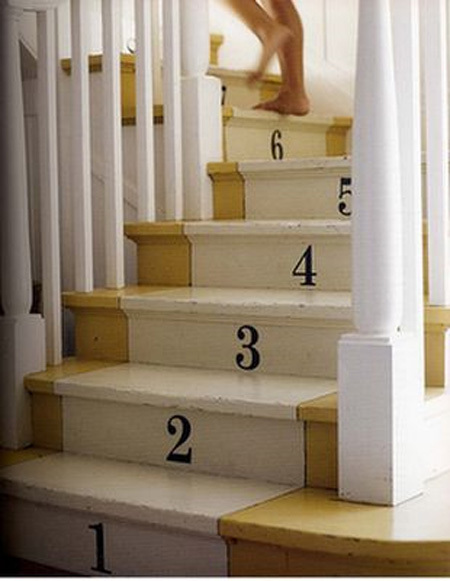 Do you have a staircase in your home? 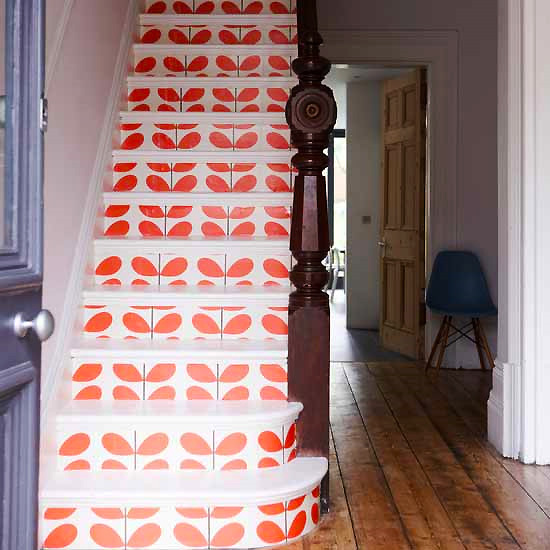 Would you have the guts to tear up the carpet and paint / stencil / wallpaper your steps into something totally original and outside the box?! I rent an apartment so hypothetically speaking, I would be totally open to the idea...I think just about anything is better than carpet on the stairs. It gets matted down and shows dirt, spots, etc. all too well. Here are some fun and fresh ideas...what do you think? Would you do it or have you already done something similar in your own home? I would love nothing more than to have a house that has a staircase. 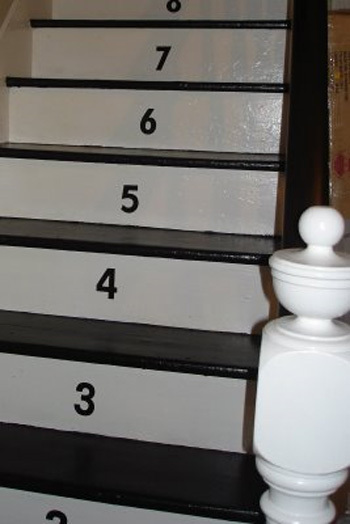 I adore the 1st photo and the 1st numbered staircase! I agree with cherry blossom! those are awesome! 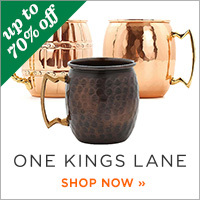 ooh wow the orla kiely one is stunning!! Fun! You would love www.WhatIsBlik.com because they have cool graphics you can apply to almost any surface. 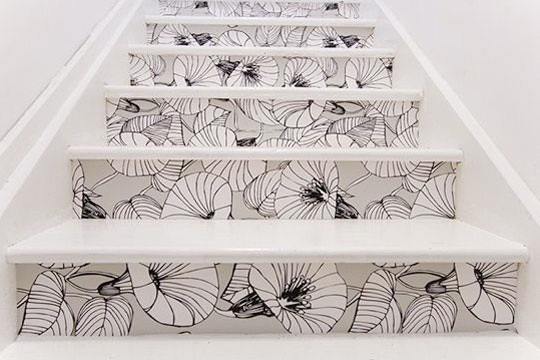 They'd work great on stairs. Great selection. I quite like the turquoise flowers. i love the idea of wallpapering the stairs. i'm not sure if my husband would go along with it though-such a stick in the mud! 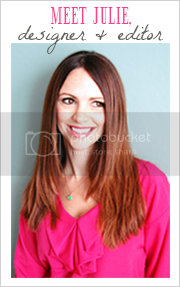 Loving this blog. Beautiful pics. Great selection. I love the turquoise flowers! 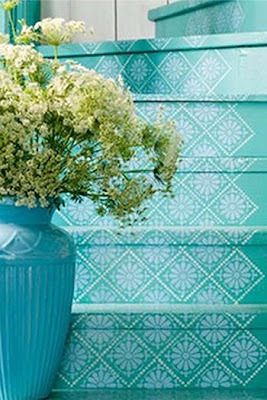 i lOVE the turquoise wallpaper-looking one. the other ones, ehh. can' you imagine how physically uncomfortable it must be to do that?? hah. Oh, I love all of these photos! 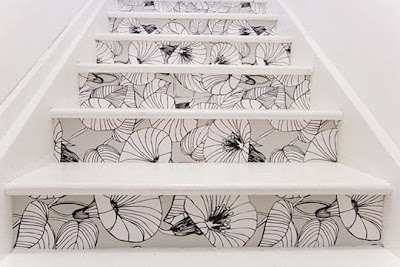 Just wonderful ideas for sprucing up the stairs! I think the Martha Stewart Leaf design is my favorite. It's so true that carpet on the stairs gets matted down. Mine drives me bonkers! I love that! So pretty and creative! Great post! I linked this to my stairs project post too, it's lovely inspiration! 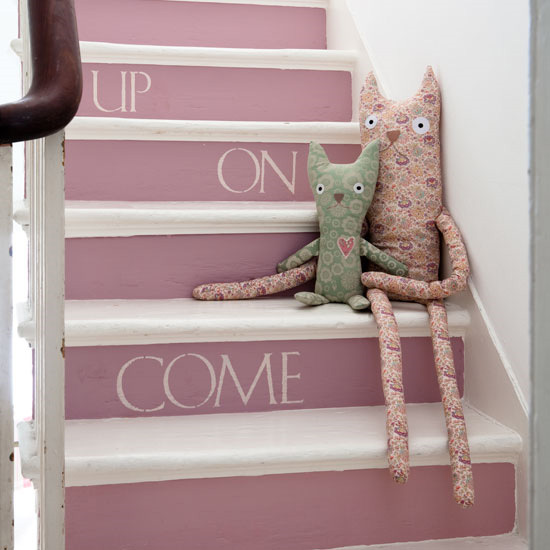 contemplating pulling up carpet & painting stairs.. just love it!